Over the years I have had the opportunity to work on many beautiful watches and have met some very interesting people. This page will introduce you to them and the watches they wear. This is a picture of Philip Sauerlender using the Hamilton Electric Railway Special that I repaired for him. 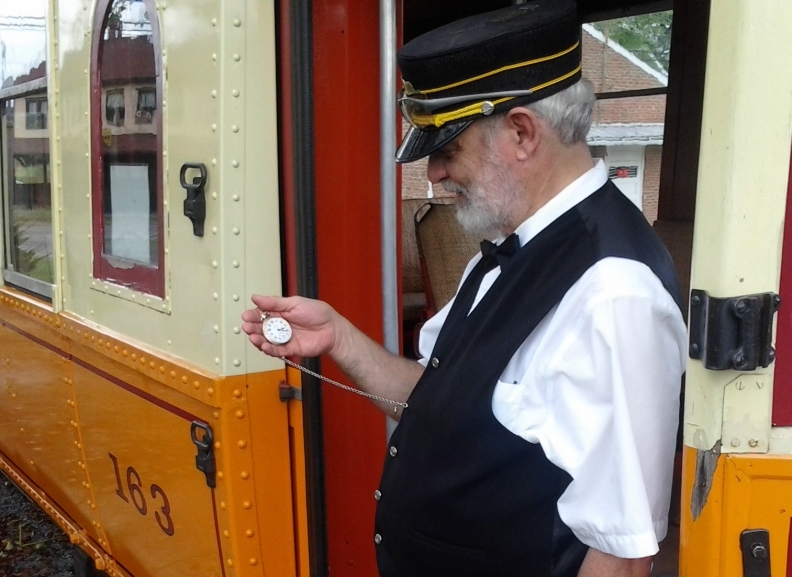 He is checking the departure time of a York Railway streetcar at the Rockhill Trolley Museum in Rockhill Furnace, PA. Nice to see this great watch “back on the job again”!! Thomas Nosker, a professor in the Rutgers University–New Brunswick Department of Materials Science and Engineering and Center for Advanced Materials via Immiscible Composite Materials. His synthetic lumber—made from recycled plastic bottles, coffee cups, and other plastics—is used in bridges, railway ties, docks, and more. Here is a picture he took during the installation of the first Recycled Plastic composite bridge at Easter Dawyck, in Scotland, across the Tweed river. 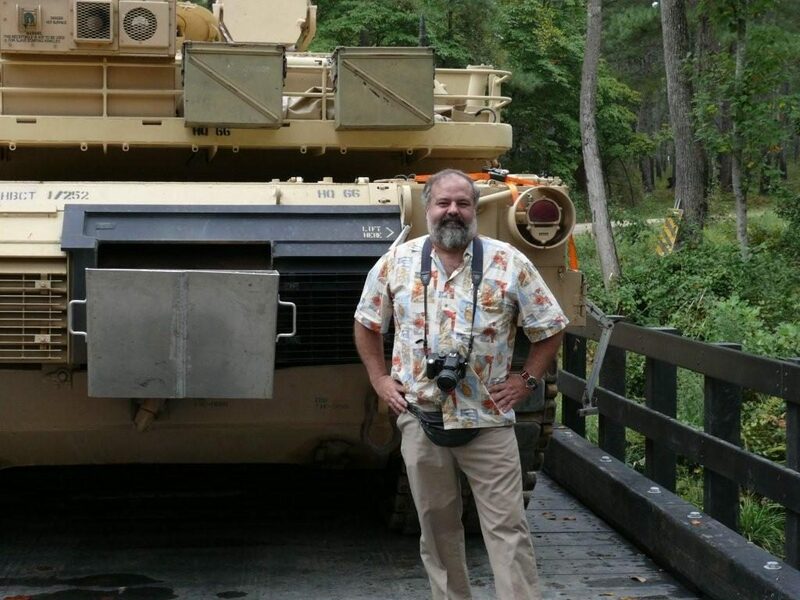 That bridge was pre-assembled into panels, and took only 3 days to build. 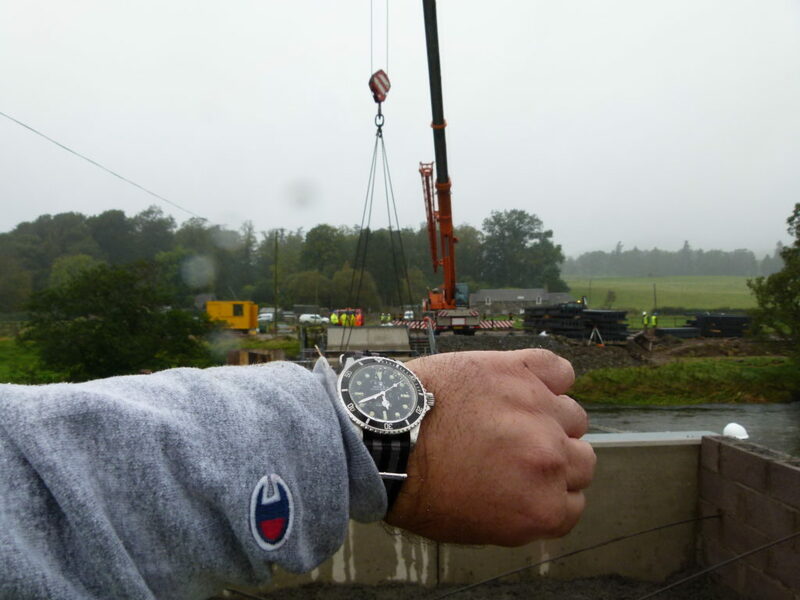 The watch is my trusty Rolex 5513, worn during much of my construction phase of my career. 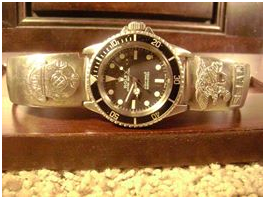 I bought my Rolex while on my 2nd deployment with SEAL Team One back in early March of 1972. I had the watch band made in the Philippines a couple of months later. This has been my everyday watch. I wear it when I sleep; I shower with it on, work in it, swim with it, and play in it. The band is stainless steel, and I don’t even take it off going through security at airports. It only comes off for cleanings. So I have pretty much worn my Rolex and band every day since the day I first put it on. 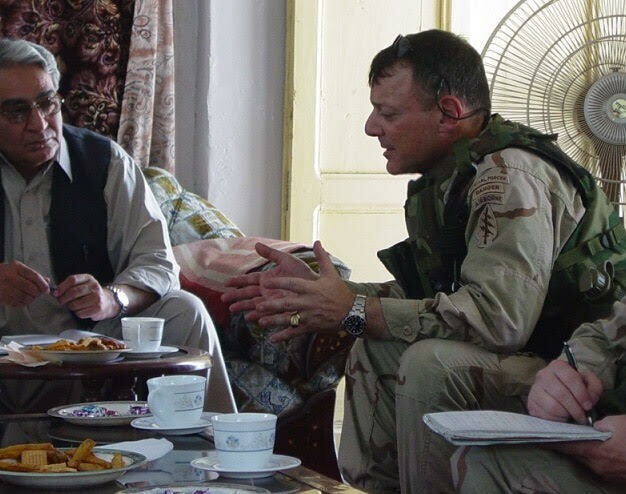 In 1975, due to a gunshot wound I was medically retired from SEAL Team One. I worked the next couple of years as a commercial diver. My Rolex and band was my work watch. After 2 years, I left commercial diving to raise a family and began working in construction. In 1982, I had my Rolex serviced for the first time. 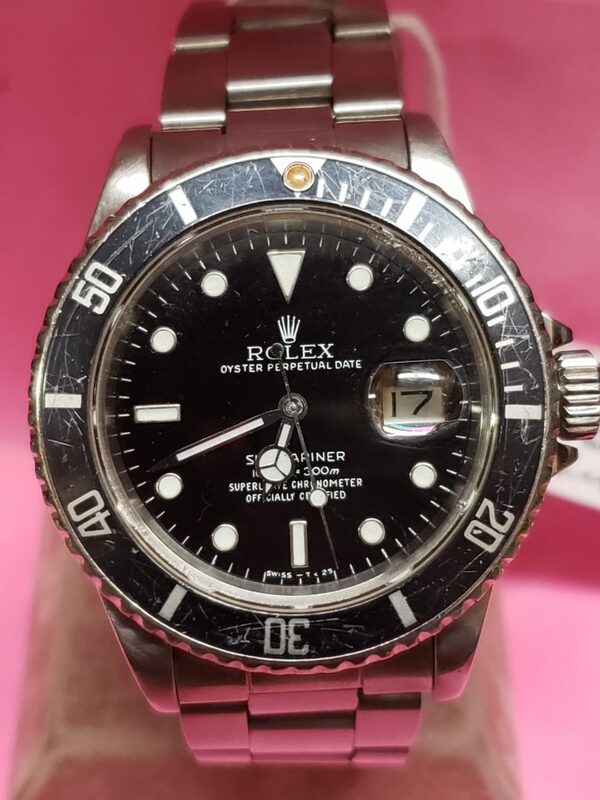 The 2nd time my Rolex was serviced was in 1993. I was talked into having a new face put on because the dots were faded. I know now that was a mistake. Since 1993, I have had my watch cleaned and adjusted 3 times. I retired from construction in 2006, but when the Horizon oil rig blew in the Gulf in 2010, I joined a HASMAT Co. to help, and found myself in charge of crew on a skimmer boat at Ground Zero. 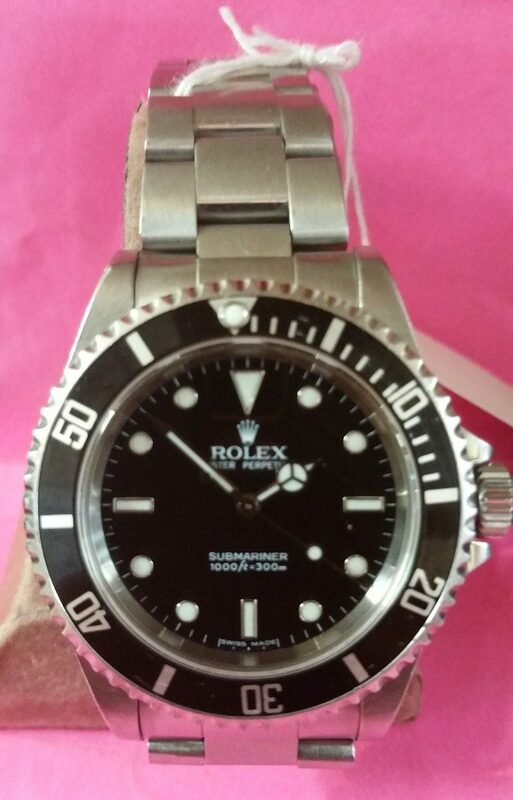 I was told I couldn’t wear jewelry, but after 38 years I sure as hell wasn’t taking off my Rolex. They said it would get ruined. I told them “it’s a Rolex and the band is Stainless Steel you can’t ruin it.” After the cleanup, I retired again. In February of 2011, I was doing a book interview and somebody told me that 2 missionary couples were killed by Pirates in the Red Sea. I googled it, sure enough not only was it true, but there were also 40 cargo ships being held for ransom, 450 Merchant Marines being held hostage in Somalia and over 415 pirate attacks in 2010. Four months later I was getting on a Bulk Cargo carrier as it came through the Suez Canal doing anti Pirate security. In 2017, It needed servicing again and I found “The Watch Doctor”. I can truly say that Nobody else will ever service my Rolex again as long as he is in business. This watch has been on me for over forty-seven years and has traveled all over this planet, It’s been dove in 8 major bodies of water oceans and seas, made numerous parachute jumps, been in combat, car wrecks, and firefights. It’s spent another 39 years in hard construction, it’s fought Pirates, and worked the biggest Oil spill in history. It has been a lifelong friend, and in my opinion, it and the companion band are the best purchases I have ever made. 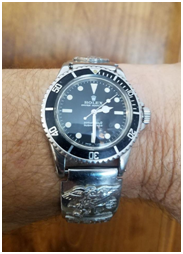 This Rolex submariner has been on my wrist since 1985, year six of a thirty one year career as a Green Beret; traversing four continents, deploying to sixteen conflict zones, engaging in five firefights, surviving one IED explosion and continues to tick away in my current role as a private security consultant with a global client base. I have a personal addition to this list. I had the opportunity to work on a watch for a great guy, Jeff Chandler. 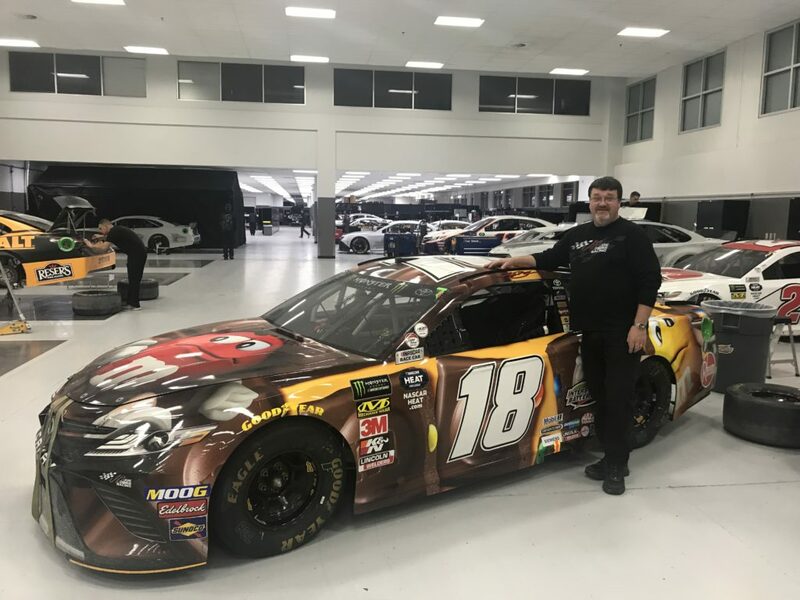 He is a member of the Joe Gibbs racing team. 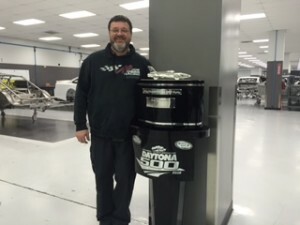 He is a former tire changer ,lead mechanic ,and currently rear end mechanic for Joe Gibbs racing. This years driver, Denny Hamlin won the Daytona 500. I have a great picture of Jeff with the Rolex Submariner that I repaired for him along with the Daytona trophy. Very cool indeed! Jeff received his Rolex for his many years of work with the Joe Gibbs racing team.